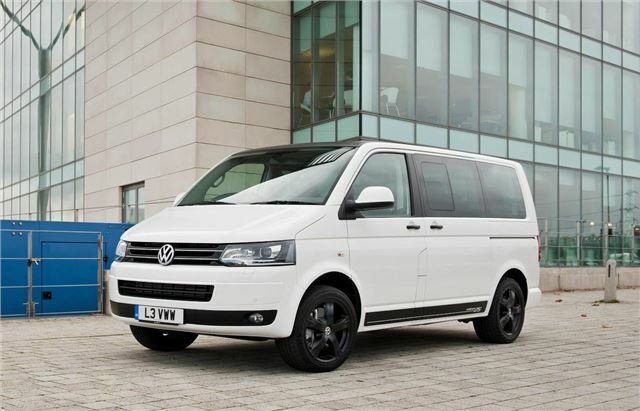 Volkswagen is to sell just 225 examples of its latest special edition model, the Caravelle Edition 25. Offered with a 2.0-litre Bi-Turbo diesel engine, the Edition 25 is available with either front-wheel drive or 4MOTION all-wheel drive. Prices start at £44,995 and order books are open now. The seven-seater Edition 25 model is based on the SE equipment grade, with the addition of a few extras including voice activated sat nav, Bluetooth, parking sensors, reversing camera, and blind spot monitoring system. All of the seats are trimmed in two-tone leather, and can be moved around to face one another and create a ‘lounge’ environment. Entry and exit is easy thanks to electric sliding doors. The exterior is set apart from other Caravelle models by the inclusion of black styling accents in the roof, side sills and tailgate, as well as 18 inch satin black alloy wheels. Two colours are offered – Candy White or Reflex Silver. Fuel economy is 34.9mpg for the two-wheel drive model and 32.1mpg on the 4MOTION, with emissions of 214g/km or 232g/km respectively. Order books are open now at Volkswagen Van Centres, with prices starting at £44,995 on the road including VAT.